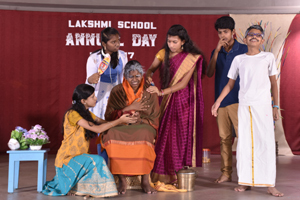 Lakshmi Vidya Sangham (LVS) is a trust run by members of the TVS family. 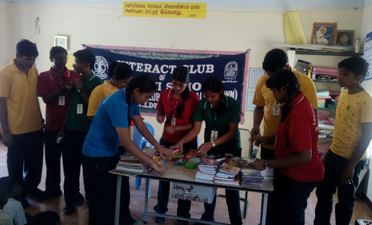 TVS Higher Secondary School and Primary School at Jaihindapuram, TVS Matriculation Higher Secondary School at TVS Nagar, Lakshmi School at Veerapanchan, and Lakshmi Matriculation School at Veerapanchan etc. are some of the educational institutions. The aim of LVS is to provide quality education to the students enrolled in its schools. The school is affiliated to the Council for the Indian School Certificate Examinations (CISCE), New Delhi. The School is a recognized Examination Centre for ICSE & ISC examinations. The President Ms.Shobhana Ramachandhran has been the guiding force and the main person responsible for the growth of this institution. 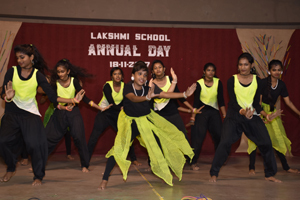 Lakshmi Vidya Sangham's Executive Committee Members, Lakshmi School Committee members and Academic Committee Members have helped the school to grow to its present status. The school works for five days a week. Students of classes IX - XII and staff report on the first and fourth Saturdays. The school works between 8:30am and 3.30 pm for all classes. The table below presents the strength of the students and the number of teaching staff and Non teaching ever since its inception. 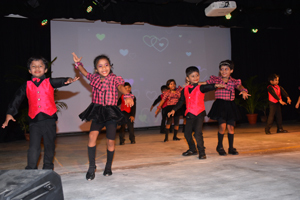 It is the endeavour of the school to give stage experience to every child. 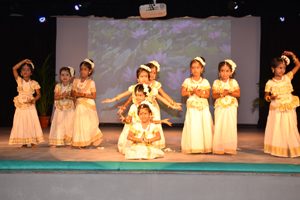 We ensure that every student takes part at least in one programme during Annual Day/Variety Shows. Variety Shows are organized once per level, to show case the talents of children. Classes VI – XII participate in Annual Day Students receive Endowment Awards and prizes for their academic excellence during Annual Day. All students of classes IX to XII are generally the members of this club. They organize various Inter school competitions for Interactors of city schools and undertake projects for the welfare of our society. Classes VI and above are taken on an Educational tour once a year during the vacation. We take them them on a visit to all the neighbouring states. We also take students to abroad tours. A group of students and teachers went on a tour to Singapore(2007-2008), Bangkok(2008-2009), Malaysia(2009-2010), Hongkong(2010-2011) , Dubai(2011-2012), Srilanka(2012-2013) and Dubai (2014-2015) during the annual vacation.